The Phantom Eye aircraft was towed in pieces to the Air Force Flight Test Museum’s restoration hangar Aug. 17, 2016. On June 1, 2012, Boeing’s Phantom Eye prototype autonomous unmanned aircraft system made its first flight at Edwards Air Force Base, Calif., as part of a NASA Armstrong (formerly Dryden) Flight Research Center project. The slow-flying Phantom Eye had a 150-foot wingspan and was powered by two hydrogen-fueled internal combustion engines driving slow-turning propellers. The aircraft was a prototype for a future long-endurance intelligence, surveillance, and reconnaissance aircraft that would be capable of remaining in the air at 65,000 feet for a duration of three to 10 days. Today, the demonstrator project has been completed and NASA AFRC has transferred the drone to the Air Force Flight Test Museum to be refurbished and displayed in the future. 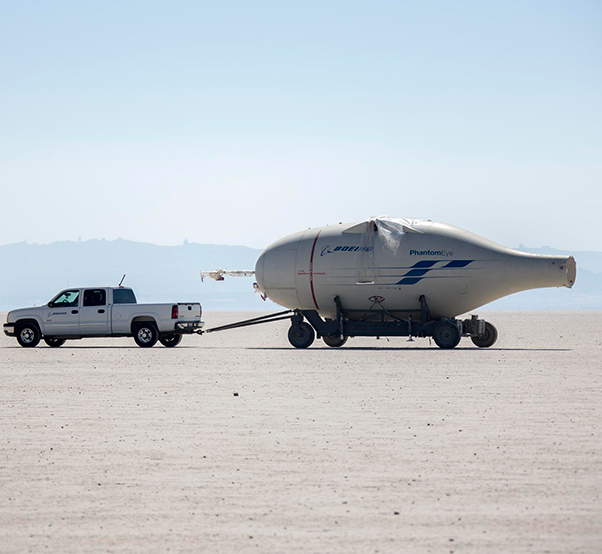 On Aug. 17, a team of workers from the Flight Test Museum, Boeing and NASA teamed up to transport the Phantom Eye in separate parts from NASA’s old space shuttle hangar to the museum’s restoration hangar. 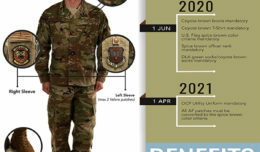 “There was some talk about a year ago between NASA, Boeing and the [museum] about donating the Phantom Eye to the museum once they were done with it, and we said we’d absolutely love to have such a unique aircraft,” said Tony Moore, AFFT Museum specialist. 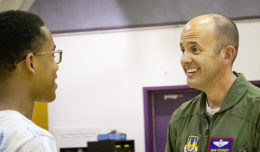 The transferring of the Phantom Eye is part of the ongoing partnership between aerospace manufactures, such as Boeing, NASA and the Air Force Flight Test Museum, to preserve the items and legacy that has made Edwards Air Force Base the center of flight test for the world. A NASA Lunar Landing Research Vehicle like this one will also be transferred to the Air Force Flight Test Museum in the near future. 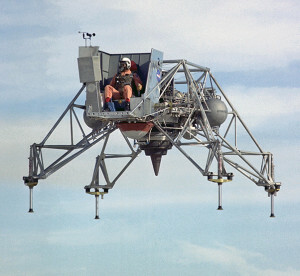 The LLRVs were created by a predecessor of NASA’s Armstrong Flight Research Center here at Edwards to study and analyze piloting techniques needed to fly and land the tiny Apollo Lunar Module in the moon’s airless environment. Success of the LLRVs led to the building of three Lunar Landing Training Vehicles used by Apollo astronauts at the Manned Spacecraft Center in Houston, predecessor of NASA’s Johnson Space Center. 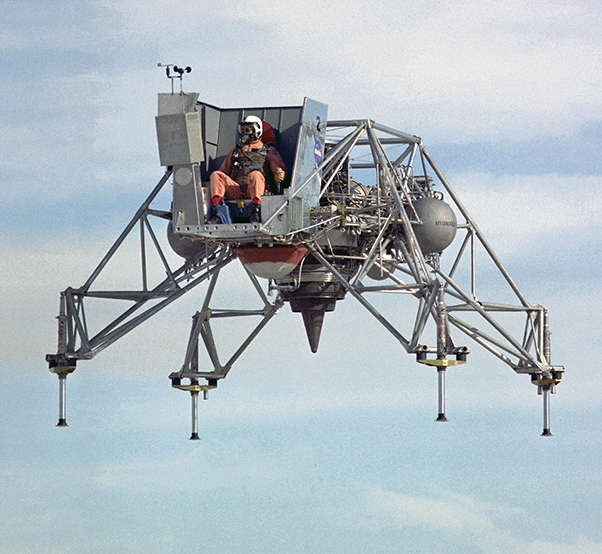 The museum is also looking to get one of the Lunar Landing Research Vehicles that was flown at Edwards to study and analyze piloting techniques needed to fly and land the tiny Apollo Lunar Module in the moon’s airless environment. The LLRV is scheduled to be towed to the museum in the near future. The success of LLRVs here led to the building of three Lunar Landing Training Vehicles used by Apollo astronauts at the Manned Spacecraft Center in Houston, the predecessor of NASA’s Johnson Space Center. Apollo 11 astronaut Neil Armstrong, the first human to step onto the moon’s surface, said the mission to the moon would not have been successful without the type of simulation that resulted from the LLRVs and LLTVs.